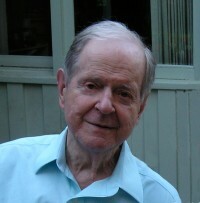 Robert Conquest was born in Malvern, Worcestershire, in 1917, to an American father and his English wife. Educated at Winchester College, the University of Grenoble, and Magdalen College, Oxford, he took his B.A. and (later) M.A. degrees in politics, philosophy, and economics, and his D. Litt. in Soviet history. In Lisbon on an American passport at the outbreak of the Second World War, he returned to England to serve in the Oxfordshire and Buckinghamshire Light Infantry, and in 1944 was sent from Italy on Balkan military missions awkwardly attached to the Soviet Third Ukrainian Front – and later the Allied Control Commission in Bulgaria. From 1946 to 1956, he worked in the British Foreign Service – first in Sofia, then in London, and in the U.K. Delegation to the United Nations – after which he varied periods of freelance writing with academic appointments. 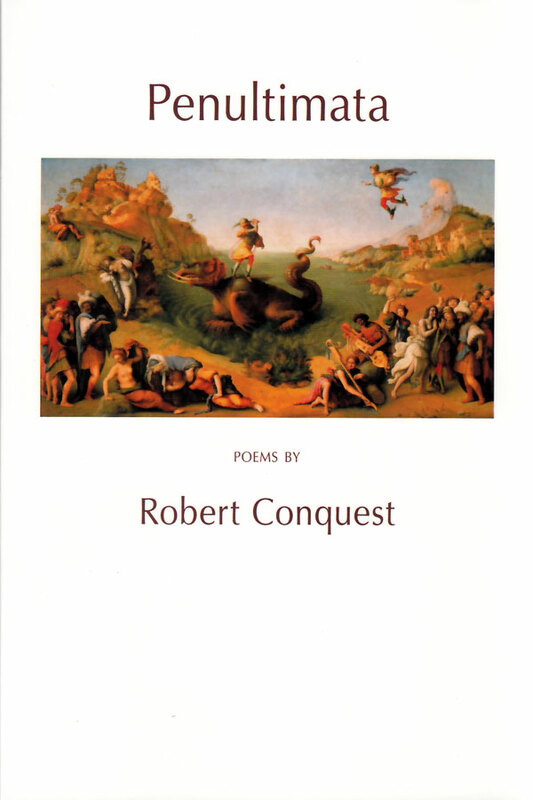 Conquest’s poems were published in various periodicals from 1937. In 1945 the PEN Brazil Prize for a war poem was awarded to his “For the Death of a Poet” – about an army friend, the poet Drummond Allison, killed in Italy (published in The Book of the PEN 1950) – and in 1951 he received a Festival of Britain verse prize. Since then he has brought out seven volumes of poetry previous to Blokelore & Blokesongs, and one of literary criticism (The Abomination of Moab). 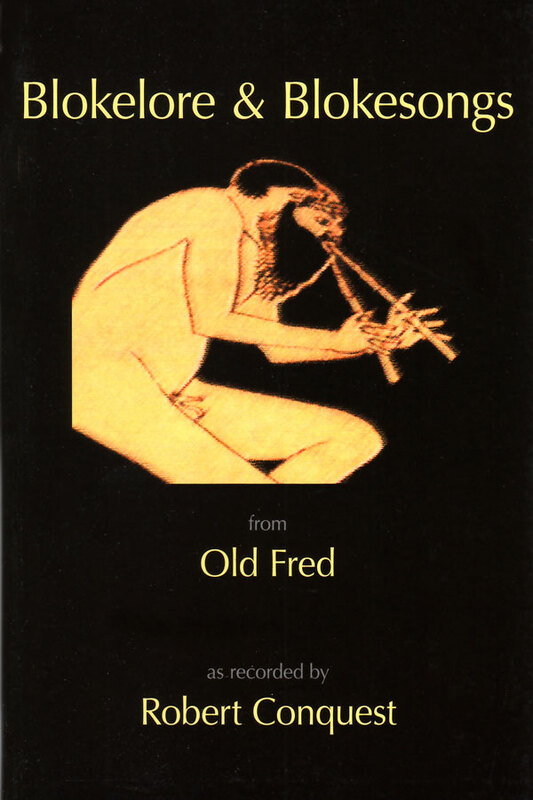 He published a verse translation of Aleksandr Solzhenitsyn’s epic Prussian Nights (1977), and two novels, A World of Difference (1955), and (with Kingsley Amis) The Egyptologists (1965). In 1955 and 1963 Conquest edited the influential New Lines anthologies, and in 1962-1963 he was literary editor of the London Spectator. He was the author of twenty-one books on Soviet history, political philosophy, and international affairs, the most recent being The Dragons of Expectation (2004). His classic, The Great Terror, has appeared in most European languages, as well as in Japanese, Arabic, Hebrew and Turkish. In 1959-60 he was Visiting Poet and Lecturer in English at the University of Buffalo. He also held research appointments at the London School of Economics, the Columbia University Russian Institute, the Woodrow Wilson International Center for Scholars, the Heritage Foundation, and Harvard University’s Ukrainian Research Institute. In 1990 he presented Granada Television’s Red Empire, a seven-part documentary on the Soviet Union which was broadcast in the UK, the USA, and in various other countries, including Australia and Russia. Conquest was a Fellow of the British Academy, the American Academy of Arts and Sciences, the Royal Society of Literature, and the British Interplanetary Society; he was also a member of the Society for the Promotion of Roman Studies (contributing to Britannia an article on the Roman Place Names of Scotland). His honours and awards included the Presidential Medal of Freedom; the Companion of the Order of St. Michael and St. George; the Order of the British Empire; the Commander Cross of the Order of Merit of the Republic of Poland; the Ukrainian Order of Yaroslav Mudryi; the Estonian Cross of Terra Mariana Order of Merit; the Jefferson Lectureship; the American Academy of Arts and Letters’ Michael Braude Award for Light Verse; the Richard Weaver Award for Scholarly Letters; the Fondazione Liberal Career Award; and the Dan David Prize. He lived with his wife Elizabeth in California, where he worked as a research fellow at Stanford University’s Hoover Institution. He died in 2015, aged 98.